The Decksaver Pioneer CDJ-2000 Nexus Smoked / Clear Cover with Clear Faceplate is made from polycarbonate, a very hardwearing plastic used in bulletproof glass, and made to fit your gear as closely as possible. This durable cover with faceplate is suitable for discrete and good protection for your decks. 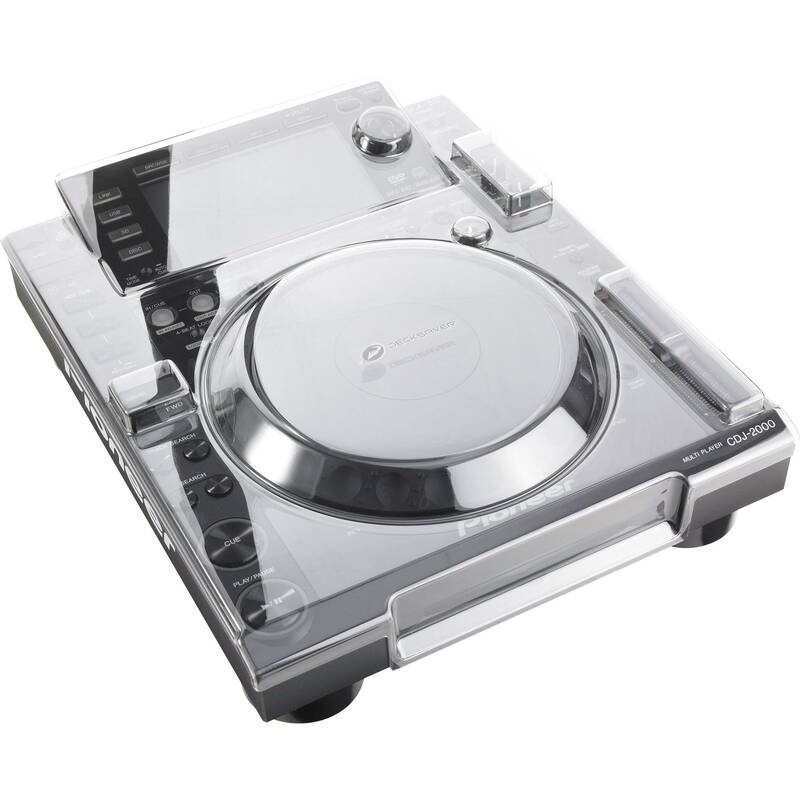 Box Dimensions (LxWxH) 16.5 x 12.9 x 2.3"
Pioneer CDJ-2000 Nexus Smoked / Clear Cover with Clear Faceplate is rated 5.0 out of 5 by 2. Rated 5 out of 5 by Mike Mar from Amazing product! If you are a serious club DJ or even a rookie in your bedoom, Decksavers are for you! No matter what kind of equipment you have, they are sure to have a Decksaver for you. I recently upgrded my gear and shelled out for the CDJ 2000 Nexus' and let me tell you, there was NO WAY I was going to let those bad boys go unprotected! These Decksavers are amazing. The block out almost, if not ALL the dust! I was doing work in my house and actually created a lot of dust, and I was amazed at how much traveled to the equipment. The top of my decksavers had about 1/4 of dust on them... my CDJ's were flawless! Not an ounce of dust! If you are serious about your gear I DEFINITELY suggest them! Rated 5 out of 5 by RTS from Works great ! This is the only cover for the cdj-2000 at the moment. Fit's great, keeps the cdj's clean! Little high in price but worth it.